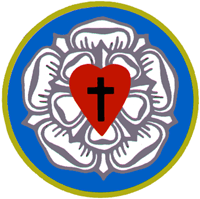 Lutheran work began in Liberia in 1860 by missionaries of the former Lutheran Church in America (now ELCA). The mission advanced slowly in the early years, but recently the church has been growing rapidly. Over the last twenty years membership has almost tripled. It has spread from among the Kpelle and Lorma-speaking people to other groups in Liberia. The Lutheran Church in Liberia became fully autonomous in 1965. Its organization combines congregational, episcopal and synodal features. The constitution, which was revised in 1997 and 1999, provides for a balance of local responsibility and common action. The LCL urban ministry that began in Monrovia, Liberia's capital city, is very vital and has spread to central Liberia. The lay training programme at the Lay Training Centre is also important and is providing lay leaders, deacons and evangelists of the church.